WINONA, Minn. — The Page Series at Saint Mary’s University of Minnesota will present “Identify Yourself: Exploring Personal Narrative Through Art,” a workshop led by Winona-based artist Sharon Mansur, on Saturday, March 23, from 1 to 3 p.m. at Infinity Yoga Studio. A continuation of the 2018-19 season’s The Cedar Tree Project and drawing from Mansur’s autobiographical performance work “Dreaming Under a Cedar Tree,” this interactive workshop invites participants to explore childhood memories and imagery, ancestral countries of origin, and personal identity through creative writing, visual art, and movement. The workshop is offered free of charge, and no experience is necessary to participate, but registration is required as space is limited. To learn more and register for the workshop, visit pagetheatre.org. Performances of Mansur’s “Dreaming Under a Cedar Tree 2.0” will take place Wednesday and Thursday, April 24-25. Tickets are on sale now and may be purchased at pagethreatre.org or by calling the Saint Mary’s Performance Center box office at 507-457-1715 (noon-6 p.m., weekdays). 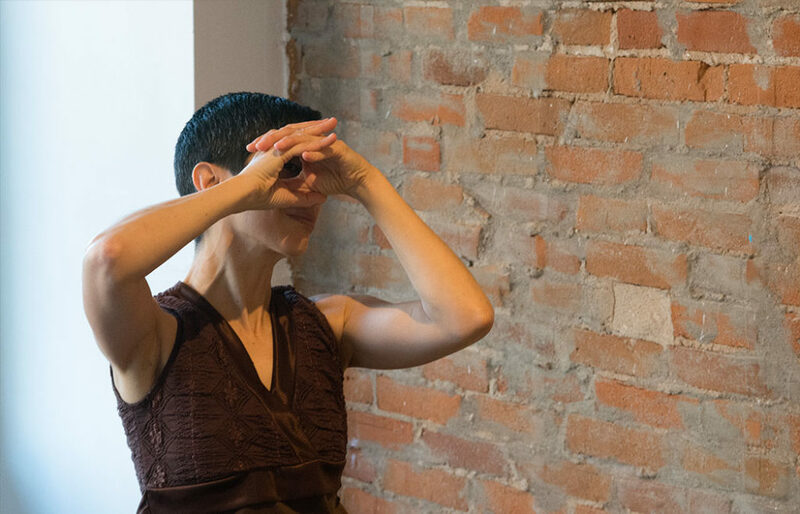 Sharon Mansur is a Lebanese American experimental dance and visual artist, educator, curator, mover, and shaker based in Winona, Minn. She is committed to dance as a transformational and healing catalyst for individuals and communities. Her performance/installation projects and dance films have been presented throughout the U.S. and abroad, and she is the curator of The Cedar Tree Project. Mansur was a guest artist at the 2018 International Dance Day Festival Lebanon (IDDFL) at the Lebanese American University in Byblos. She is grateful for the generous support she has recently received for her artistic projects and community engagement activities from the Southeastern Minnesota Arts Council (2017), a Springboard for the Arts Hinge Arts Fellowship (2017), and a Minnesota State Arts Board Artist Initiative grant (2018). She is also a 2018 Winona Fine Arts Commission Awardee and a 2018 McKnight Dance Fellow. Find more info at mansurdance.com. Throughout the 2018-2019 Page Series season, The Cedar Tree Project explores cultural heritage, perceptions, and identity through the lens of Arab and Arab-American artists and invites people to develop deeper understanding and empathy through artistic exchange. Curated by Winona dance/visual artist Sharon Mansur, events include dance performances, visual art installations/exhibitions, panel discussions, workshops, and community gatherings with Mansur and visiting artists. Now in its 32nd annual season, the Page Series connects professional performing artists from around the globe with thousands of Winonans each year. With events at the Joseph Page Theatre on the campus of Saint Mary’s University of Minnesota, as well as at locations across the Winona community, the Page Series offers dance, music, and theatre performances, workshops, classes, and more that inspire, uplift, educate, and invite community members to discover the relevance of the arts in their daily lives. Find more information at pagetheatre.org.